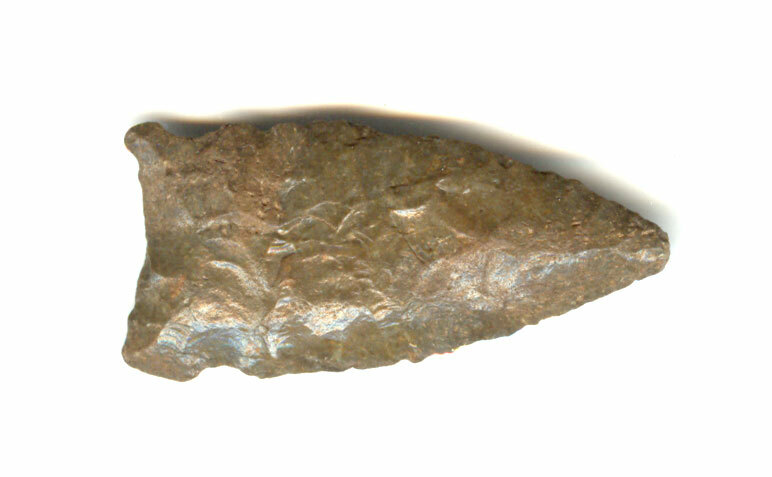 A Small Size, Visibly Aged, Anciently Use Sharpened, Lookingbill Point That Exhibits Surface Aging Coloration And Overall Stone Patination, Aging In The Side Notches, Aged Surface Stone Pore Deposits, Ancient Repeated Blade Use Reduction Sharpening, Overall Heavy River Or Sand Surface Polish, Correct Early Style Blade Flaking, Correct Material And Manufacture For The Area Found. The Lookingbill, Hawkens, And Logan Creek Points Are Considered To Be Some Of The Earliest High Plains Side Notched Points. This Example Was Very Possibly A Dart Point, Being A Highly Collectible Artifact! Includes A Ken Partain Certificate Of Authenticity.